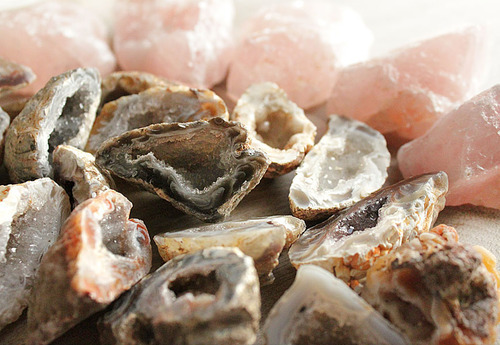 These wonderful Agate geodes, with the larger Rose Quartz chunks on the background, are now packaged up and on their way to a friend of mine who will be using them as teaching tools in her classroom. Many fascinating exercises to be created for art and creative writing, focusing on these visual, tactile stones. Agate geodes seem to have worlds within them, I never tire revelling in all their myriad of details.